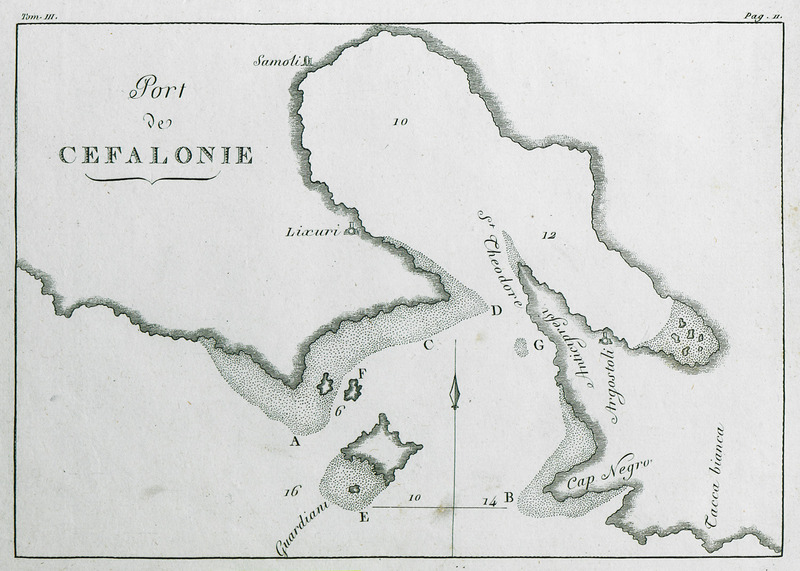 Map of part of Cephalonia, charting the bay and port of Argostoli and surrounding inlets. 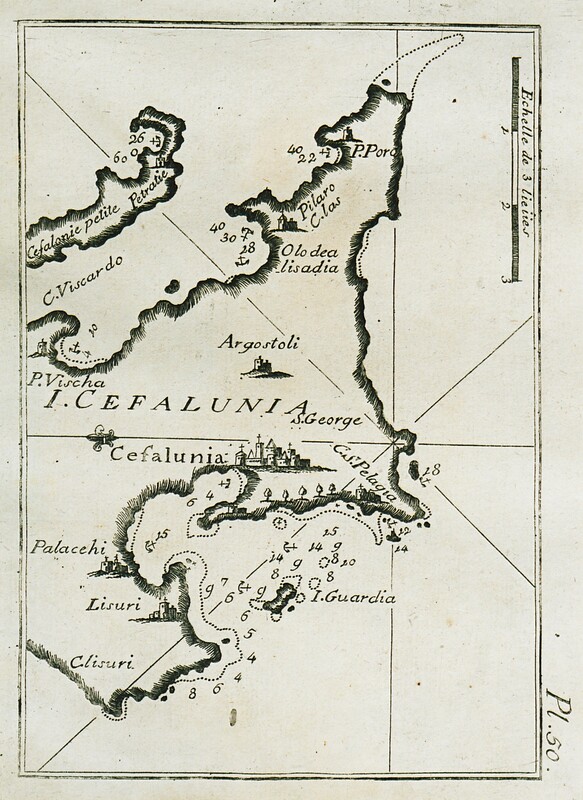 Map of the ports of Lixouri and Argostoli, Cephalonia. 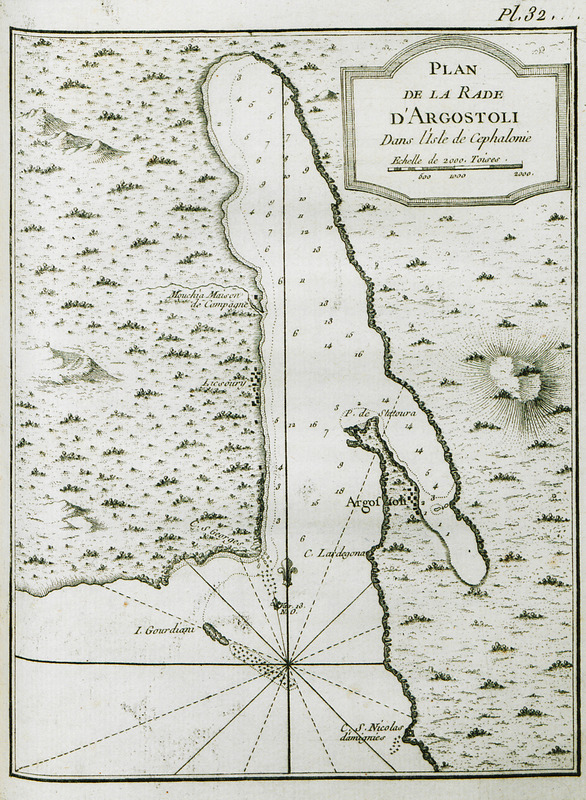 Map of the port of Argostoli. Entrance to the harbour of Argostoli, 1867.